Sky has announced the welcome news that it will create 1,000 jobs and cut the price of its Sky+ HD boxes as it looks to increase the understanding of high-definition services in Britain. The broadcasting company has been one of the innovators in UK television, and its HD service is now present in nearly 800,000 homes. But along with unveiling impressive sales figures in the final quarter of 2008, the broadcaster confirmed that it is taking major steps to accelerate the take-up of high definition broadcasting in the UK. "As Sky heads into its 21st year, now is the time for HD to come of age," said Chief Executive Jeremy Darroch. "Everyone - whether they're new or existing Sky customers - can experience their favourite TV in stunning HD with a new box price of just £49. There has never been a better time to join in Britain's HD revolution. "We're expecting strong demand and we're creating around 1,000 jobs across the UK to help customers join in." The press release adds: "To help educate the public on how to get the best of their HD-Ready TV set, Sky will be launching a major TV, billboard and press advertising campaign on 5 February. 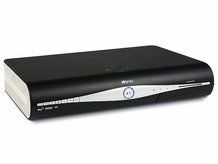 "To meet the anticipated increase in demand for Sky+ HD at the new, everyday low price of £49, Sky is ramping up its engineer and customer contact centre staff resources, with around 1,000 jobs created in the year from June 2008 to June 2009." It's welcome news in the credit crunch, but although the short term impact of 1,000 jobs will be a major boon, it is perhaps the sight of a UK company deciding the time is ripe for pushing its flagship products that's most encouraging.